La Casa de San Gabriel Community Center | La Casa exists to serve the multi-cultural community of San Gabriel and its surrounding areas. Its purpose is to encourage and support individuals and families in need. La Casa exists to serve the multi-cultural community of San Gabriel and its surrounding areas. Its purpose is to encourage and support individuals and families in need. 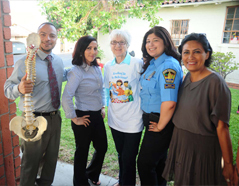 Our purpose at La Casa is to serve the multicultural community of San Gabriel and our surrounding areas. Our core mission is to educate, encourage and support our families and adult community members in need. La Casa supports and encourages over 200 families annually. Our programs and services are designed to uplift our families, most of who are working but unable to climb out of poverty. Our primarily focus is on early education, along with health and wellness issues. 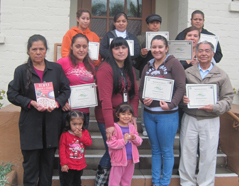 La Casa has formed lasting partnerships with foundations, community agencies, civic organizations and churches. We could not offer our services to the community without our family of supporters who give generously of both their time and money. 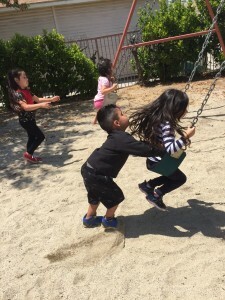 We’re swinging into summer at La Casa! Children enjoy art, recreation and class work. This program keeps their skills honed and provides lots of enjoyment. Visit us soon– call 626-286-2144.